Contributors include Jesmyn Ward (Sing, Unburied, Sing), Lynn Nottage (Sweat), Jacqueline Woodson (Another Brooklyn), Gabourey Sidibe (This Is Just My Face), Morgan Jerkins (This Will Be My Undoing), Tayari Jones (An American Marriage), Rebecca Walker (Black, White and Jewish), and Barbara Smith (Home Girls: A Black Feminist Anthology). Whether it’s learning about the complexities of femalehood from Zora Neale Hurston and Toni Morrison, finding a new type of love in The Color Purple, or using mythology to craft an alternative black future, the subjects of each essay remind us why we turn to books in times of both struggle and relaxation. 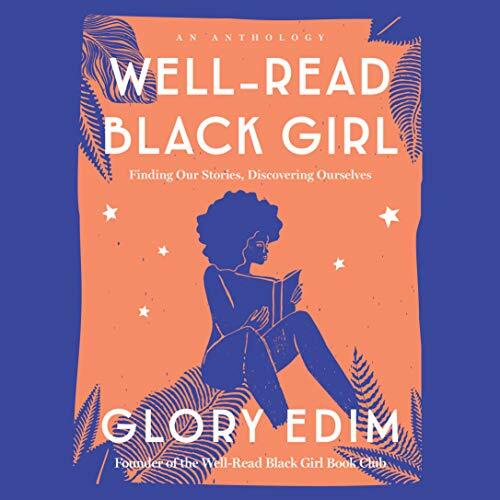 As she has done with her book club-turned-Online community Well-Read Black Girl, in this anthology Glory Edim has created a space in which black women’s writing and knowledge and life experiences are lifted up, to be shared with all fans who value the power of a story to help us understand the world and ourselves. Includes a bonus PDF of the Well-Read Black Girl book recommendations. Insightful, inspiring, smart, authentic stories. I appreciate listening to them all. Buying the book too! This book will certainly inspire you to read and write. I was inspired to read even more after listening to this book. It definitely reaffirms the importance of story and using your voice. My minor critique is the narrators tone, it’s very low, and unexciting. Almost put me to sleep a few times. But beyond that great book! ....after I've read a hard copy. I think this will be a more influential "read" than "listen" for me. It was interesting, but I feel as though I need to be able to take more notes and I'll glean more wisdom. Overall a good book to read. It was nice to get titles of additional black writer's work. I will be expanding my pallet for many of them. This book is like a reference for other black books!!! I enjoyed listening through Audible however, I would like the hard copy so that I can refer back to quickly. So happy that I listened to this! This is a great book to expose to the women in the family. Inspirational and engaging. It’s been a while since I’ve read/listened to a book and this book was the perfect start to my new year journey of reading/listening to at least one book a month. This book reminded me very well why I fell in love with reading and is lighting the fire in me to write my first book as well. Thank you to Glory Edim and all of the writers who have selflessly shared their stories and motivating me to continue on this journey with reading and also writing. All of the stories are heartfelt and really good. My fav is the story by Gabourey Sidibe. I don't think I've read enough to truly appreciate this book. If you are familiar with many Black authors and interested in when they first saw themself in a book then this is for you. Personally, i just pressed forward to finish. It does serve as a great resource for future reads.